Shimizu was the leader of the samurai who had cut down the British officers Major George Walter Baldwin and Lieutenant Robert Nichols Bird. On November 22, 1864 Baldwin and Bird were murdered by samurai near Wakamiya Oji, Kamakura, Kanagawa Prefecture. 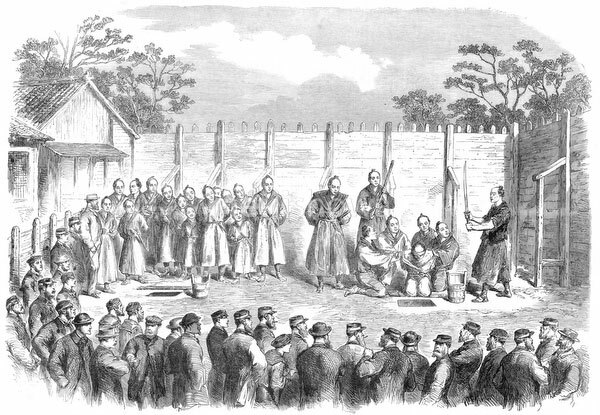 Three men were executed for the crime. Shimizu’s head was publicly displayed in Yokohama for three days while the bodies of the two British officers were buried in Yokohama’s Foreign Cemetery.